Classes in three schools in Guwahati had to be called off much earlier than their scheduled time as more than 80 percent of the students were taken back by their parents in fear after a rumour spread that the BJP led government in Assam is going to sterilise the Muslim students to control birth rate. The incident on Tuesday was seen in continuum with similar incidents that took place in remote parts of Assam on Monday after the health department intensified the drive to vaccinate against Japanese Encephalitis. “The classes were going on regularly till 11:30 am in the morning today. But suddenly a number of guardians came to the school and informed that they want to take back their students to their homes, as they feared that the students will be sterilised in the school in the pretext of vaccination,” said Manoj Senapati, a teacher in one of the schools. However, as Senapati confirmed, there was no programme of vaccination in the school on Tuesday. “It is usual to vaccinate students in schools itself against diseases like Japanese Encephalitis. But even such programme was not there in the school on Tuesday,” he said. 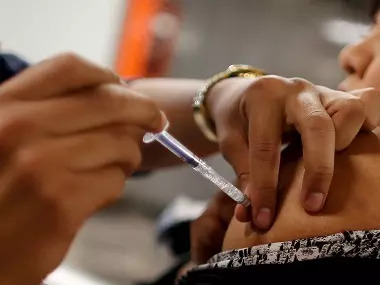 The teacher said that the school authorities tried to persuade the parents that even if any programme for vaccination is taken by the health department in the school, no student will go through it without due consent from the parents and students. “But most of them did not seem to be convinced. In no time nearly 80 percent of the students left school,” Senapati said. The schools in Guwahati which had to call off classes due to the spread of the rumour are Natboma Lower Primary School, Hemanta Boruah Middle English School and Hemanta Boruah High School. All the three schools are at Hatigaon, a Muslim-populated area in Guwahati. The state health department had launched a vaccination drive on 30 April against Japanese Encephalitis in Nalbari, Morigaon, Bongaigaon and Cachar districts in order to prevent the spread of the disease that has caused 779 deaths in between the year 2010 to 2016, reported The Hindustan Times. But soon after the government launched the drive rumours spread in nook and corner of the state that the students will be sterilised to control birth rate among the Muslims in the pretext of vaccination. “Many of the parents who came to take their children back from the school said that the name of the vaccine they believed would be used to sterilise their wards is ‘RSS vaccine’,” said Senapati. The high birth rate among the Muslims in Assam has become a part of the state’s political narrative, with every political party trying to derive electoral dividend out of it. Even as the high growth rate in Muslim population has been attributed to the unabated influx of Bangladeshis through the porous borders by the BJP, the Congress related it to illiteracy among the majority of the Muslims and lack of family planning. As per 2011 census data Muslim population in Assam grew from 30.9 percent in 2001 to 34.2 percent in 2011, which was seen as the highest in the country. Only recently, the Assam government, according to a report in The Indian Express launched a draft population policy discouraging giving birth to more than two children. Meanwhile, Samir Sinha, principal secretary in the health and family welfare department has requested the police to conduct a probe to ascertain the source of the rumor. “Lies are being spread to mislead people. We have taken up the matter with the director general of police Mukesh Sahay, and he will initiate an inquiry,” Sinha told The New Indian Express.